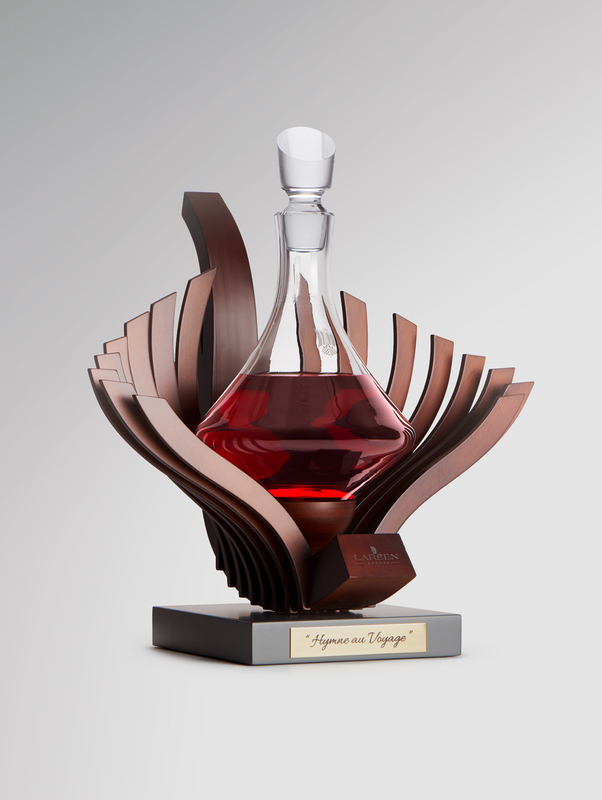 During the 11th edition of La Part des Anges (auction of exceptional Cognacs in favour of associations), Maison LARSEN has unveiled an original piece inspired by its own history. « L’HYMNE AU VOYAGE » is a creation based on the maritime world. the artwork was designed in collaboration with LINEA – the design agency from the Spirits Valley and made by local craftsmen. 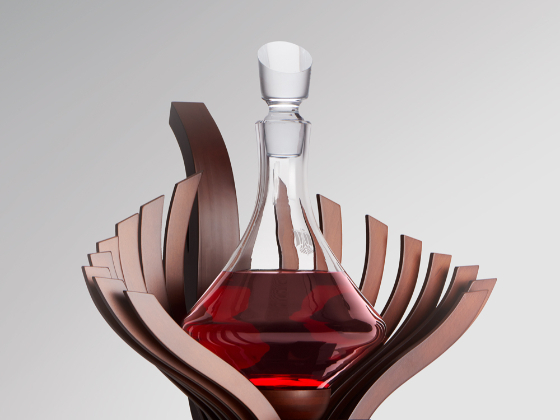 The bottle is made of mouth-blown glass and recalls the mooring buoys on the Atlantic coast. The carving is made of French oak wood and evokes the frame of a Viking ship.